Crystals are fascinating, and I absolutely remember a science project I did years ago where we grew some awesome crystals. But they took forever to grow! Want to know how to grow crystals with borax fast? 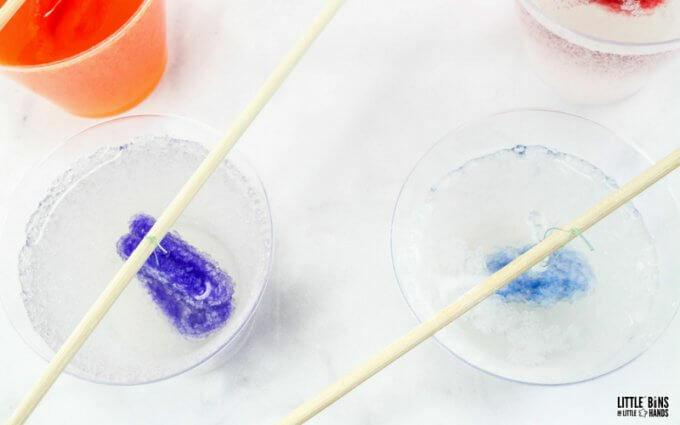 Learn how to grow borax crystals overnight for a cool kids science project and rockhound or science enthusiast will love. 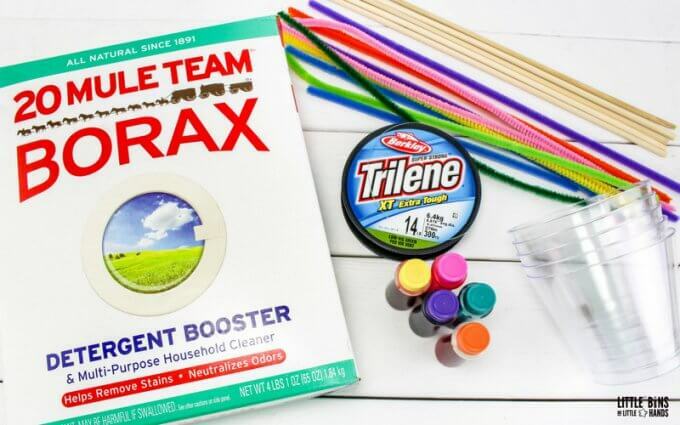 HOW TO MAKE BORAX CRYSTALS! 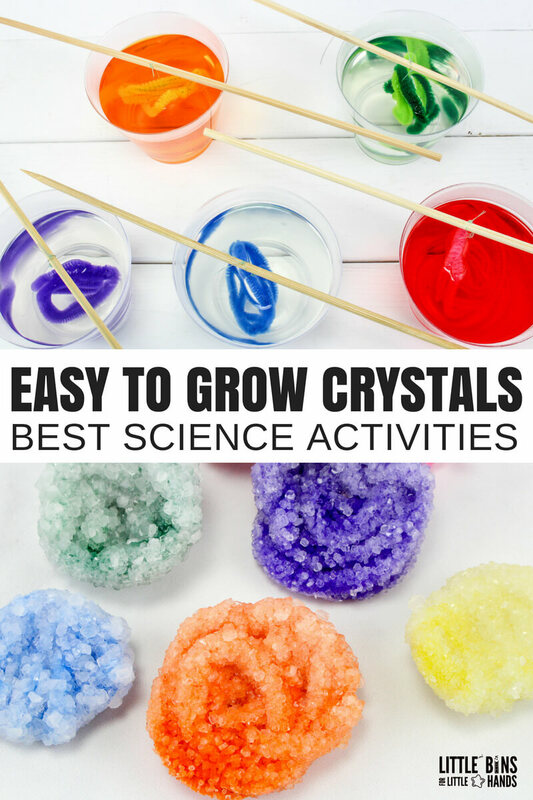 Set up a crystal growing science project filled with awesome chemistry for kids. Growing borax crystals is a super cool science project. 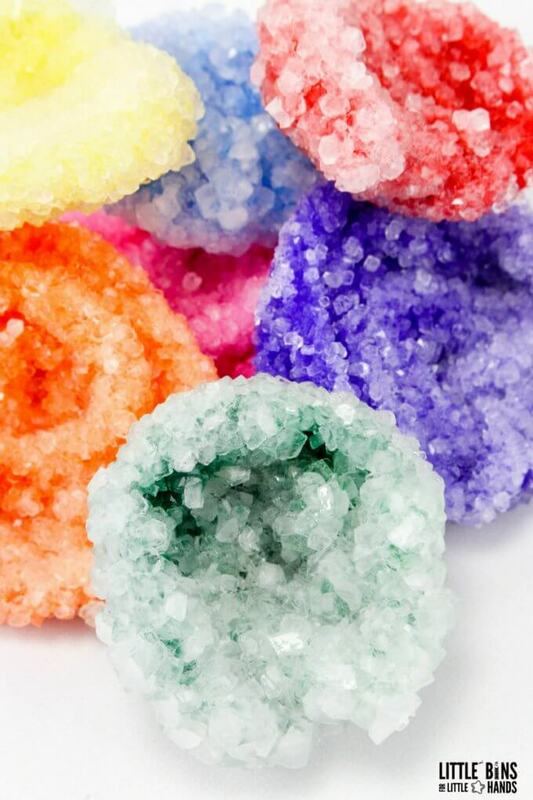 You get to grow crystals on pipe cleaners, overnight, in your kitchen or classroom! Learning how to grow crystals using borax is a simple way to introduce how a crystal is formed. You can also throw in some information on the recrystallization process, saturated solutions, as well as solubility! You can read more about the science behind our pipe cleaner crystal science project at the bottom of this page! 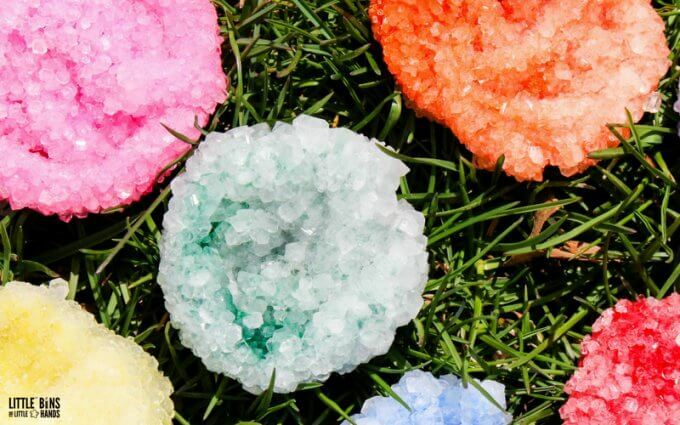 Luckily you don’t need expensive or special supplies to learn how to grow crystals with borax. However, if you want to learn how to grow crystals without borax, check out growing salt crystals or growing sugar crystals instead! You can also learn how to grow borax crystals on objects like eggshells, seashells, and even pumpkins. You will want to set up your 5 cups in a location where they won’t be disturbed. You will want to keep the kiddos from shaking, moving, or stirring the mixture once you have filled the cups. NOTES: The slow cooling of the liquid is a huge part of the process, generally we have found that glass works better over plastic. However, the plastic cups worked well this time. EXPERIMENT: You can absolutely turn this into a science experiment by growing borax crystals in different temperatures. Take a pipe cleaner and wind it tightly into a nest shape. To make it bigger, cut another pipe cleaner in half and wind it into the nest. Make at least 5 of these. 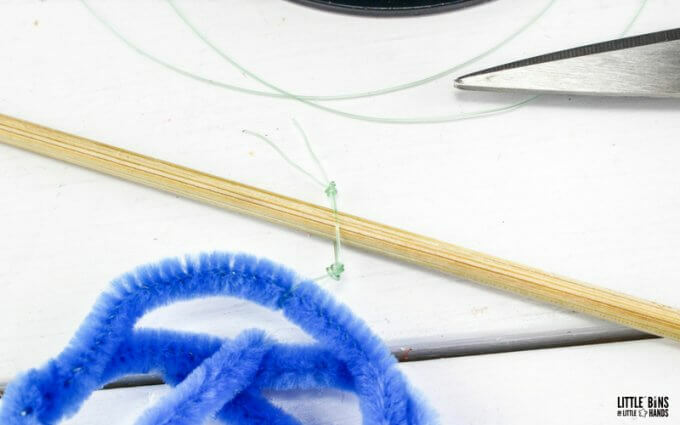 Tie a short piece of fishing line to the pipe cleaner nest, and then tie the other end of the line to a skewer. The pipe cleaner nest should hang down about an inch. 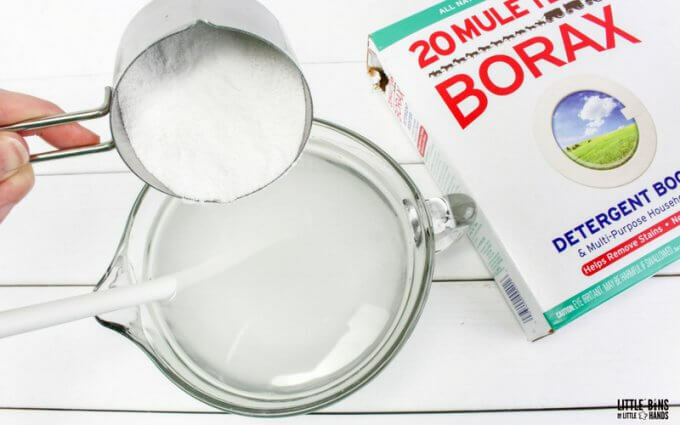 Bring 4 cups of water to a boil and stir in the Borax until it is dissolved. There should be a little bit of Borax on the bottom of the pan or container that does not dissolve. This lets you know you have added enough borax to the water, and it has become a supersaturated solution. 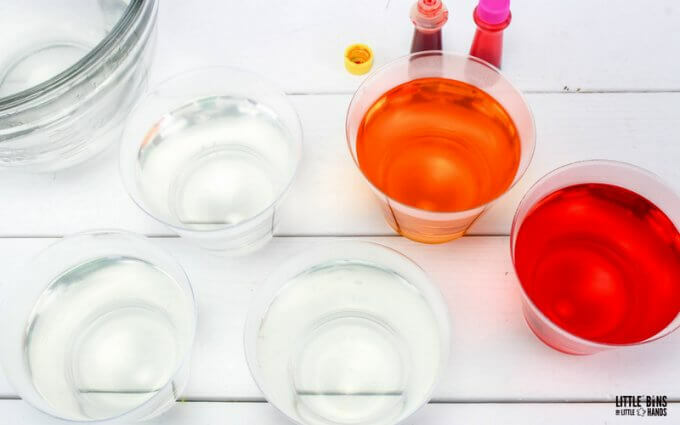 Pour ¾ cup of the mixture into each cup and add food coloring to the cups if desired. 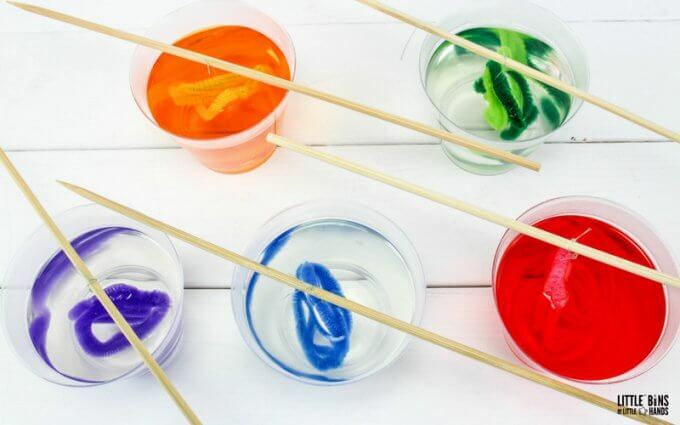 You do not have to add food coloring to the cups since the pipe cleaners are colored, but it can make crystals look a little bolder. Put one of the pipe cleaner nests into each cup and lay the skewer across the top of the cups so they hang freely. 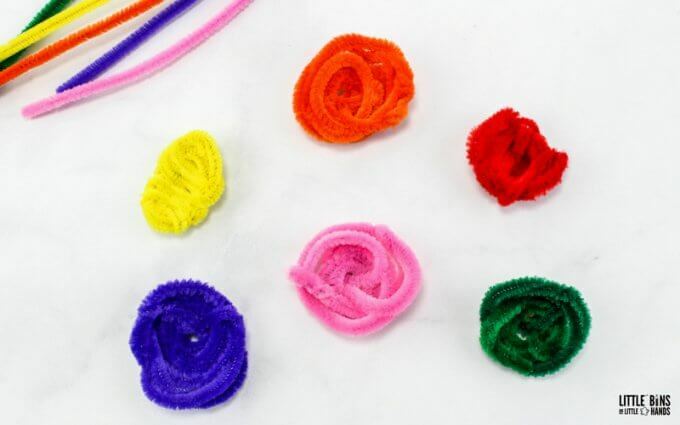 Try to make sure the pipe cleaners don’t touch the sides or bottom of the cups. If they do end up touching, the crystals will attach the pipe cleaner to the cup. They may break off when you try to pull it free. Leave your geode shaped pipe cleaners in the borax solution overnight (or even two nights) until lots of crystals have grown on them! Remove your borax crystals from the water and let dry on a layer of paper towels. Once dry, you can cut the fishing line off and you have a gorgeous crystal for your rockhound to observe! 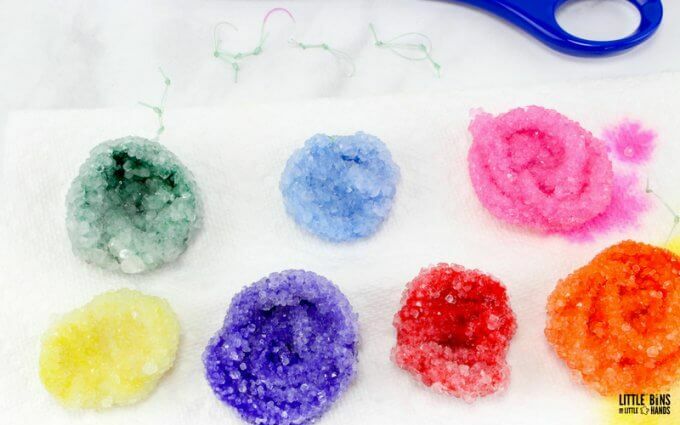 Learning how to grow crystals with borax is a fun experiment for the kids to make their own crystal geodes at home or even in the classroom. HOW LONG DO BORAX CRYSTALS TAKE TO GROW? Let the pipe cleaners sit in the cups overnight for plenty of crystals to grow on them! You don’t want to agitate the cups by moving them or stirring them, but make sure to check on them with your eyes to observe the process. You will see the recrystalization process begin to happen within a few hours! When you see good crystal growth, remove the objects from the cups, and let them dry on paper towels overnight. Although the crystals are quite strong, handle your crystal geodes carefully. You’re making a saturated solution with more powder than the liquid can hold. The hotter the liquid, the more saturated the solution can become. This is because the molecules in the water move farther apart allowing more of the powder to be dissolved. GROWING CRYSTALS WITH BORAX FOR COOL CHEMISTRY! Want more great science? Download these simple ideas below. 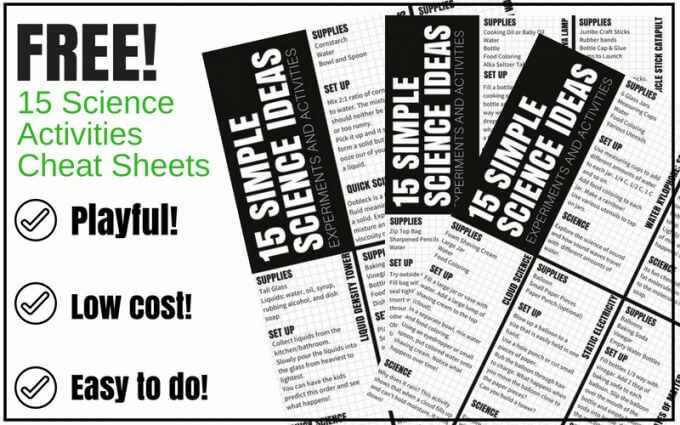 Join our community and get our FREE printable STEM calendar each month.